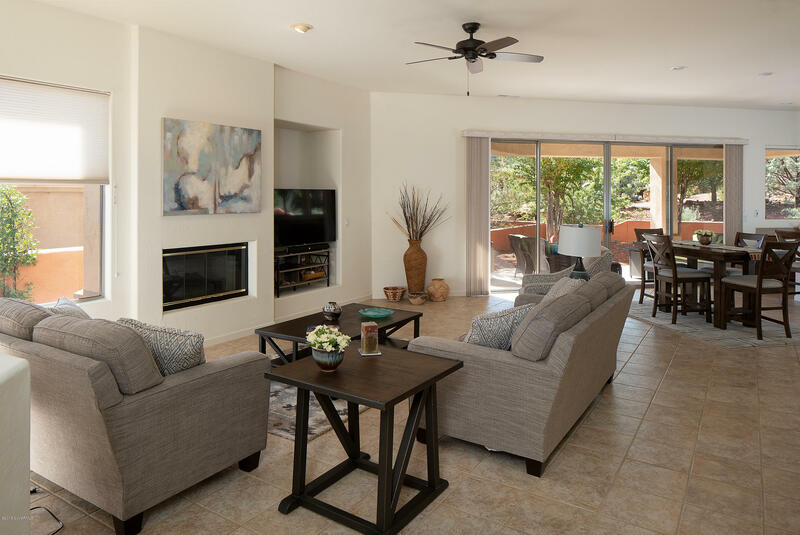 This warm, classy & comfortable home is ready! 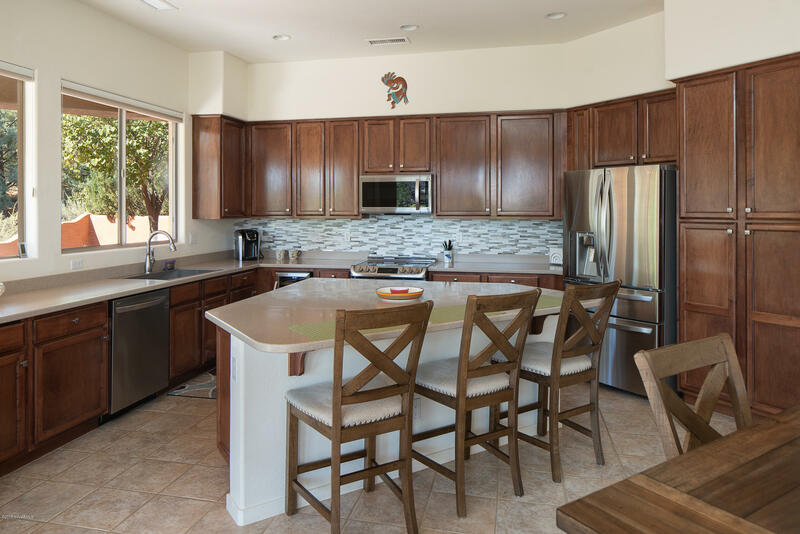 Upgraded detailing / new stainless appliances add to the appeal! 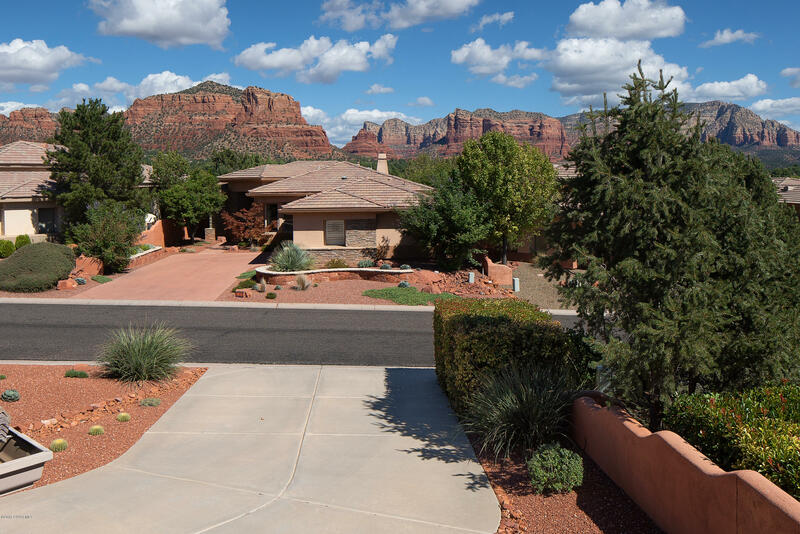 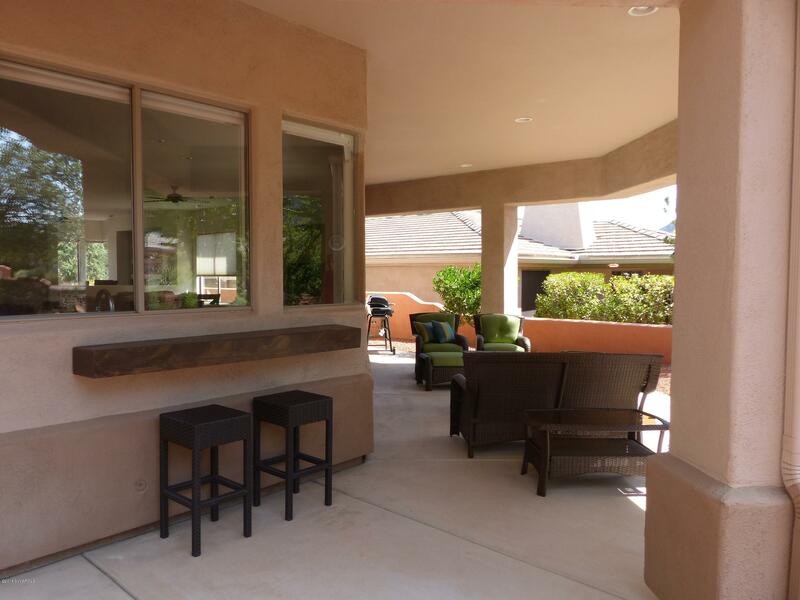 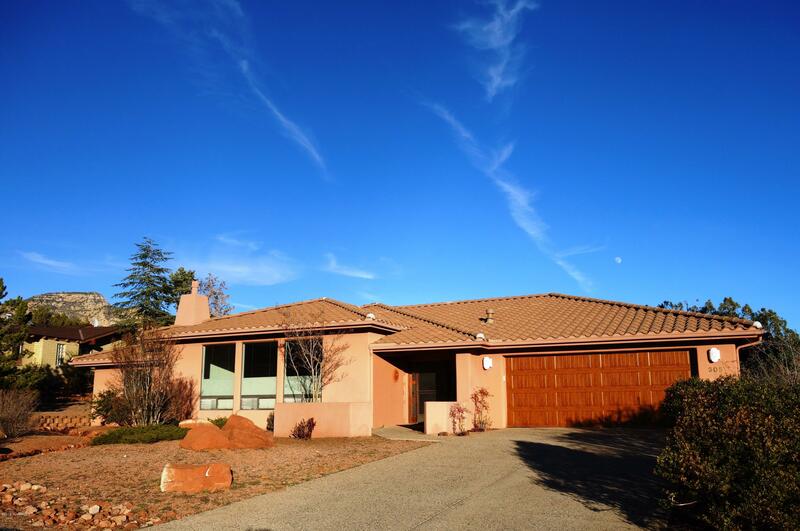 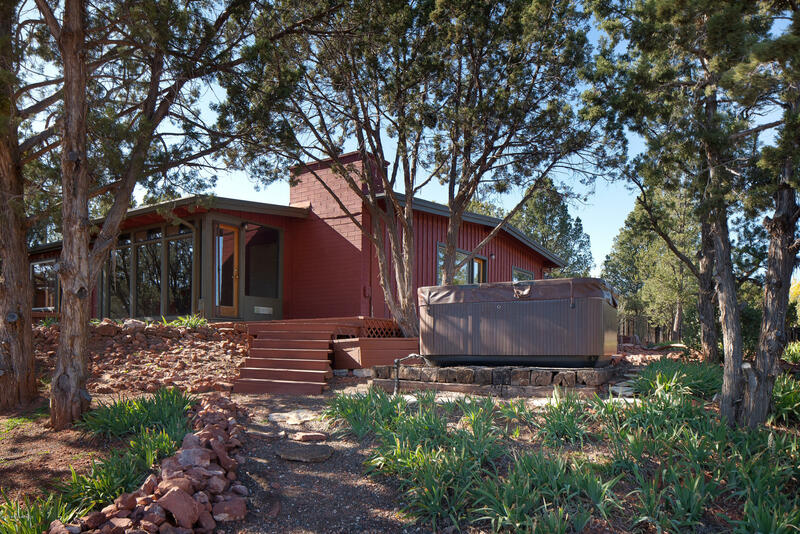 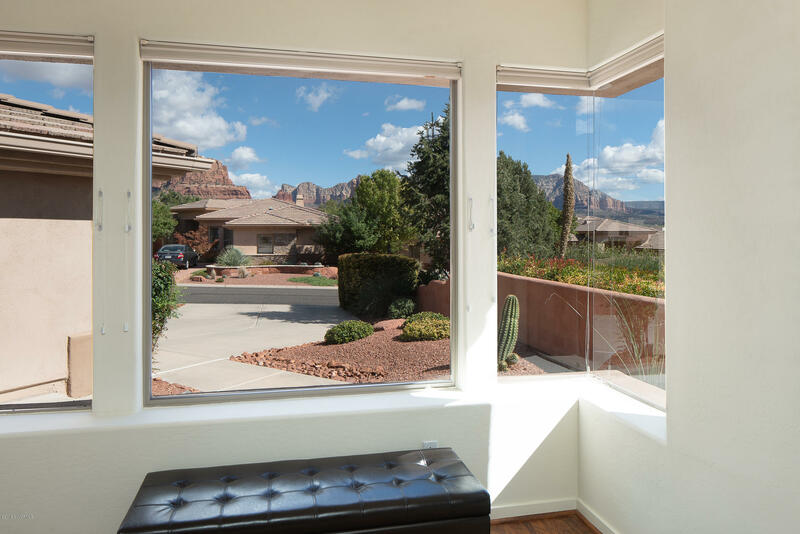 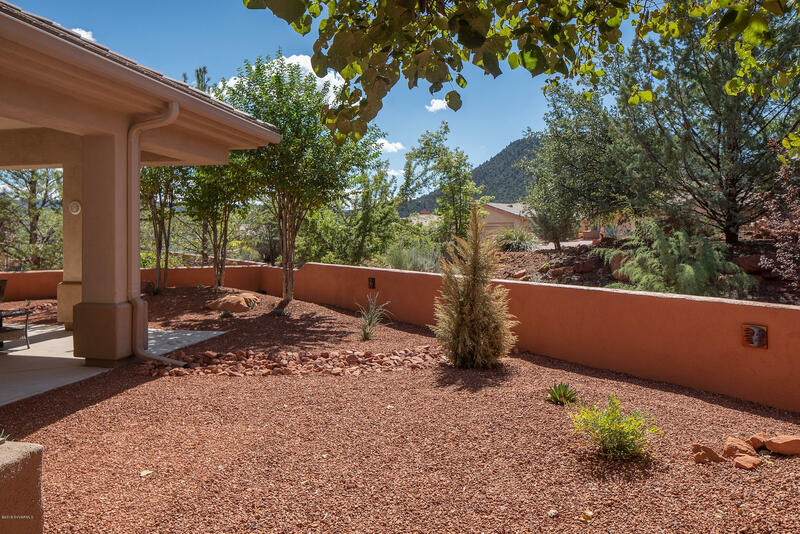 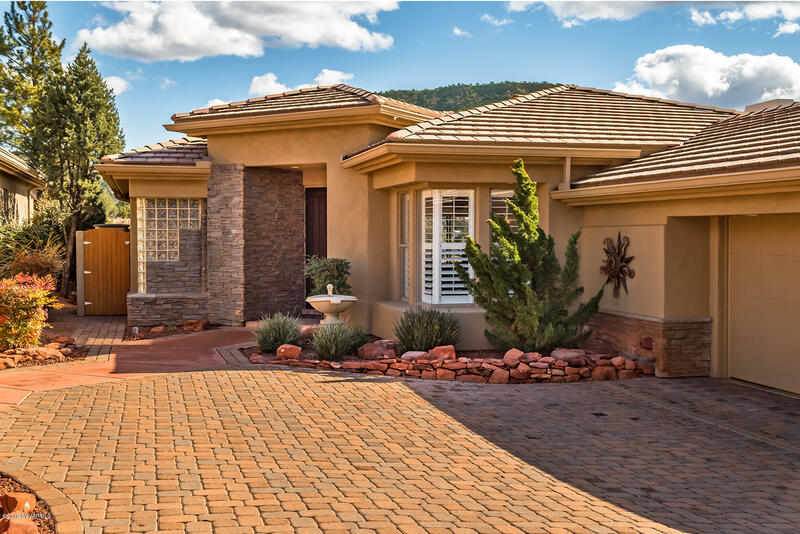 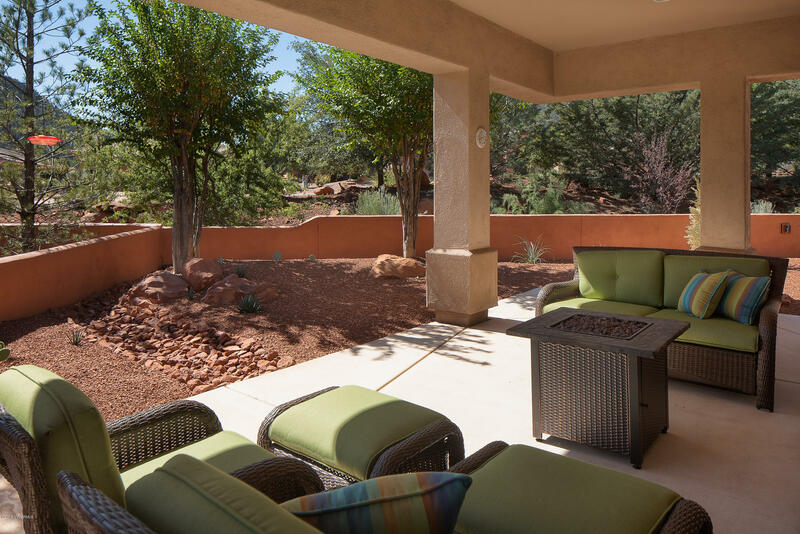 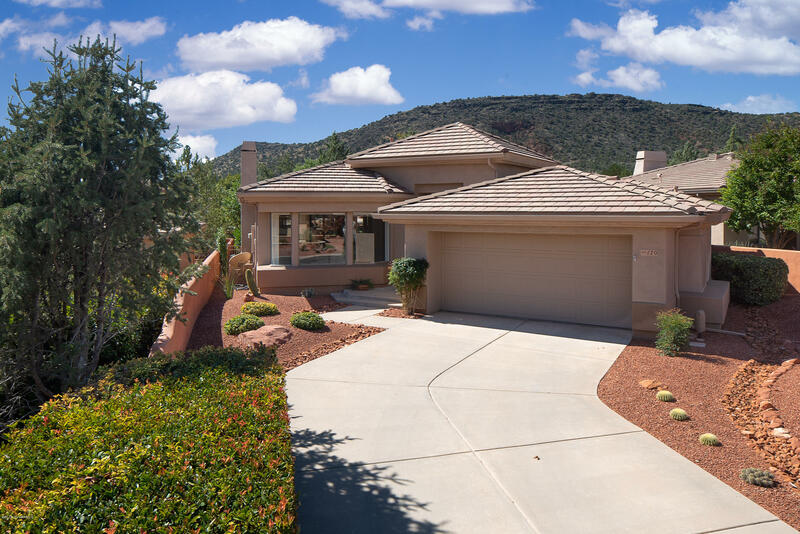 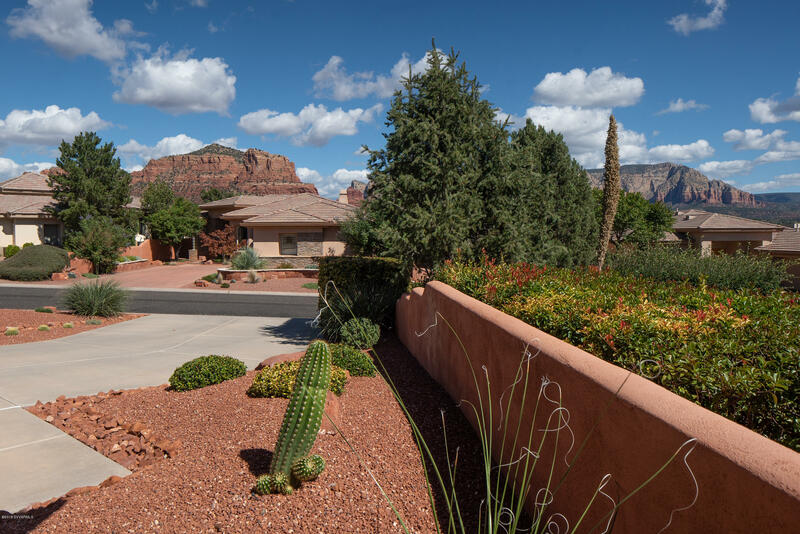 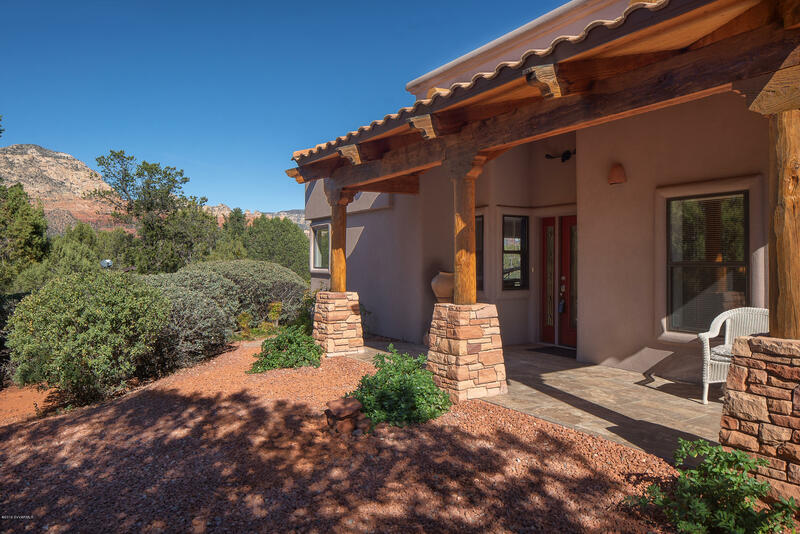 Front & back patios to enjoy the four mild seasons Sedona offers! 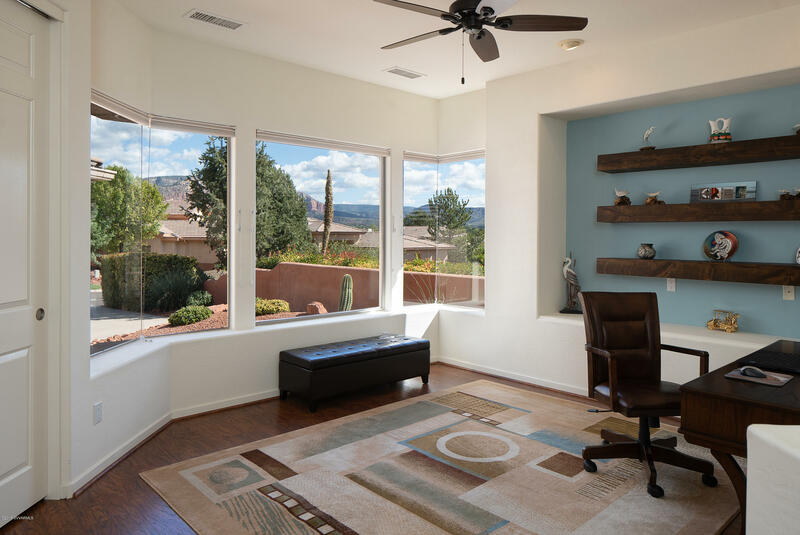 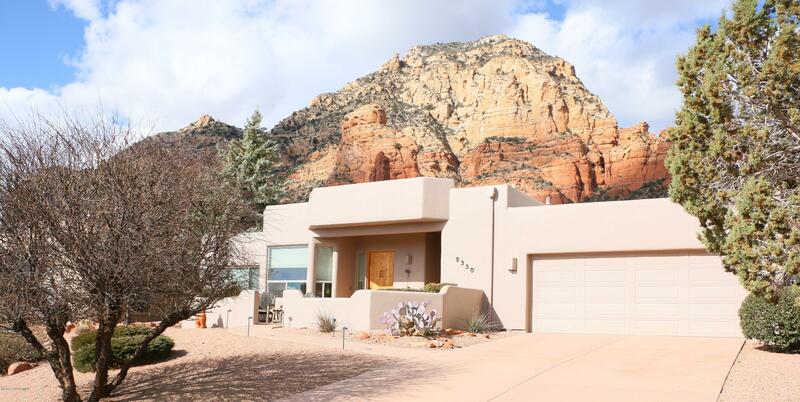 The open floor plan of this home flows freely from Kitchen/Dining Room thru the Living Room to the Den, with its wood floor, lovely book/display shelves and a peek at the Red Rock Views. 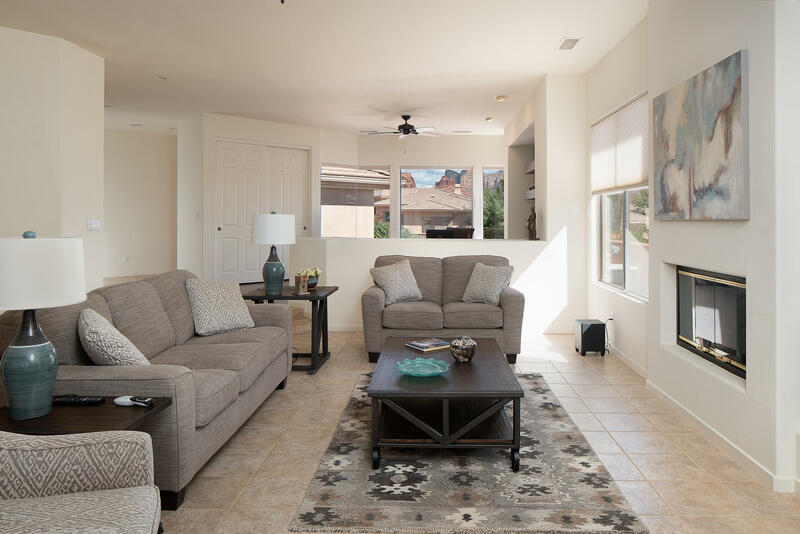 Living room has tile floors and a fireplace. 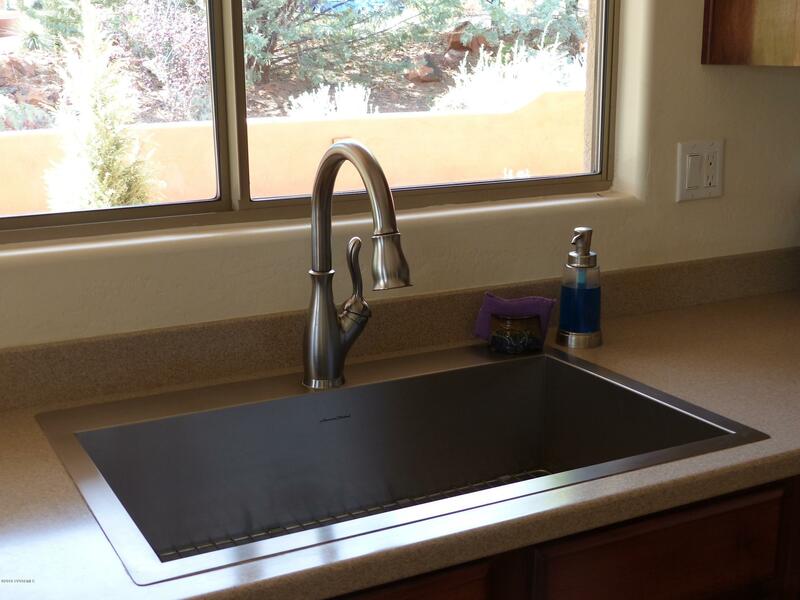 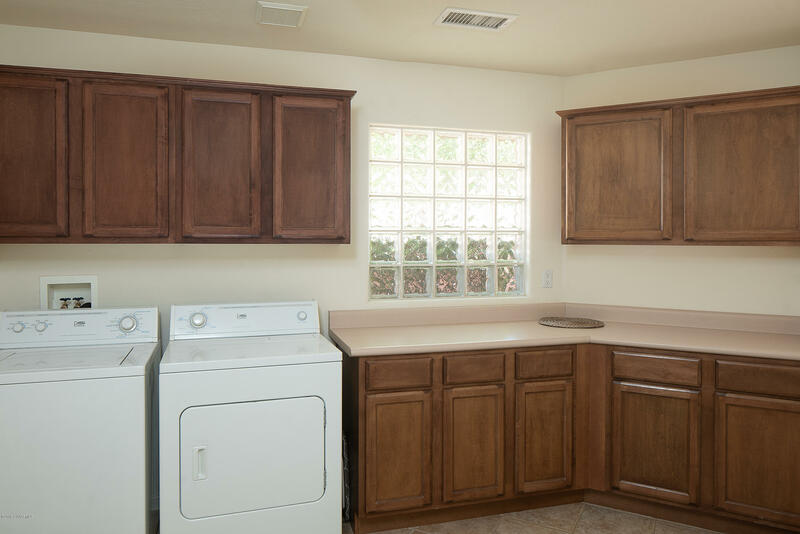 Kitchen features a large island, dark cabinets, new wine cooler & single-bowl sink. 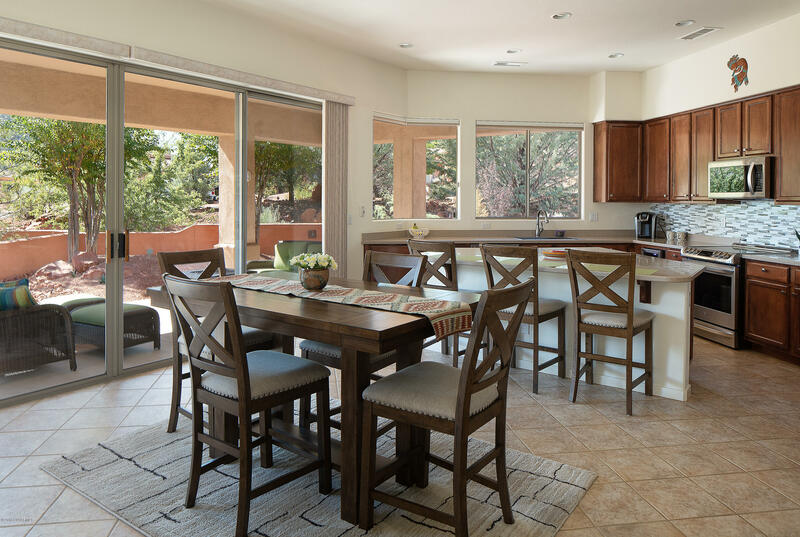 Perfect for readying meals while entertaining guests! 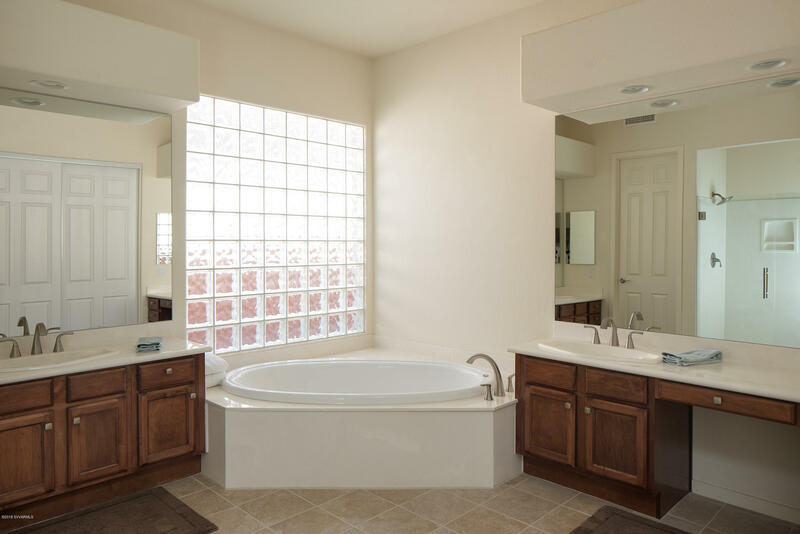 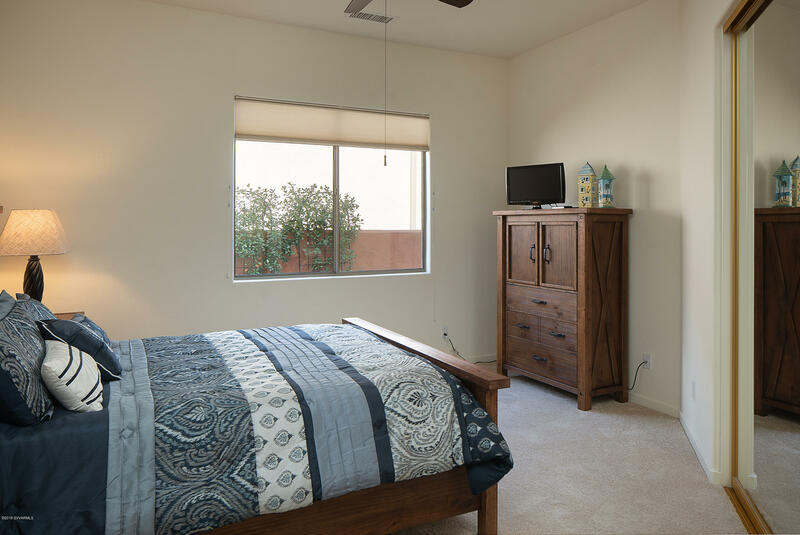 Master ensuite Bath / Walk-in closet, sitting area and patio access. 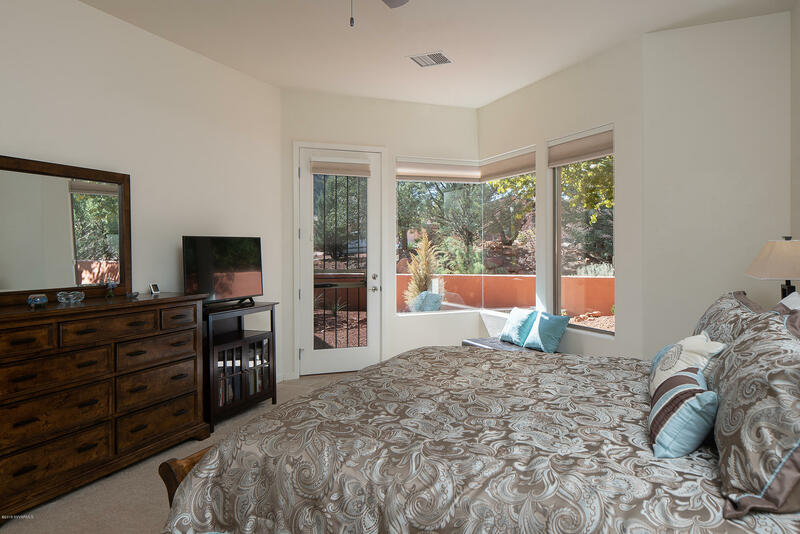 Split bedroom design. 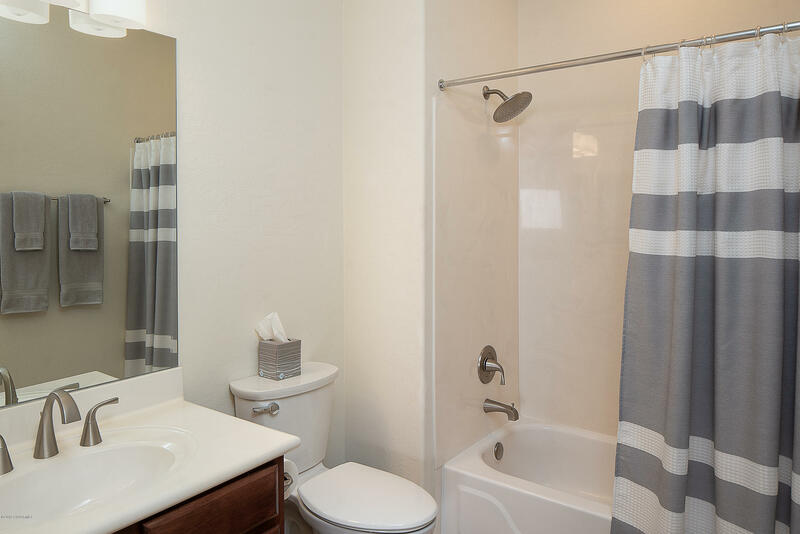 Notice the new brushed nickel door hardware & bathroom fixtures thru'out. 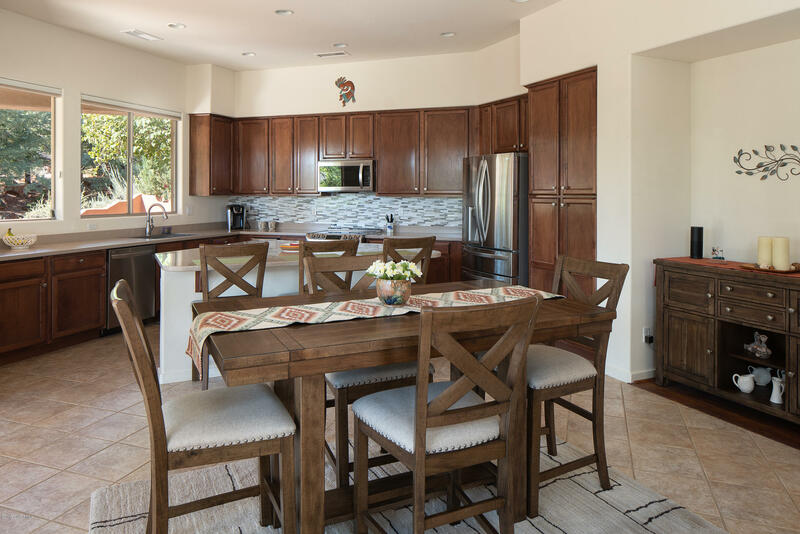 Fresh, inviting and on a quiet street, this one feels like home!